Ferric Chloride, Sebum Oil, Mineral Spirits, Acrylic Paint, Water, Oxygen, Combustion, Perspiration, Dander on copper sheet. Ferric Chloride, Sebum Oil, Mineral Spirits, Acrylic Paint, Water, Oxygen, Combustion, Perspiration, Dander on stainless steel sheet. 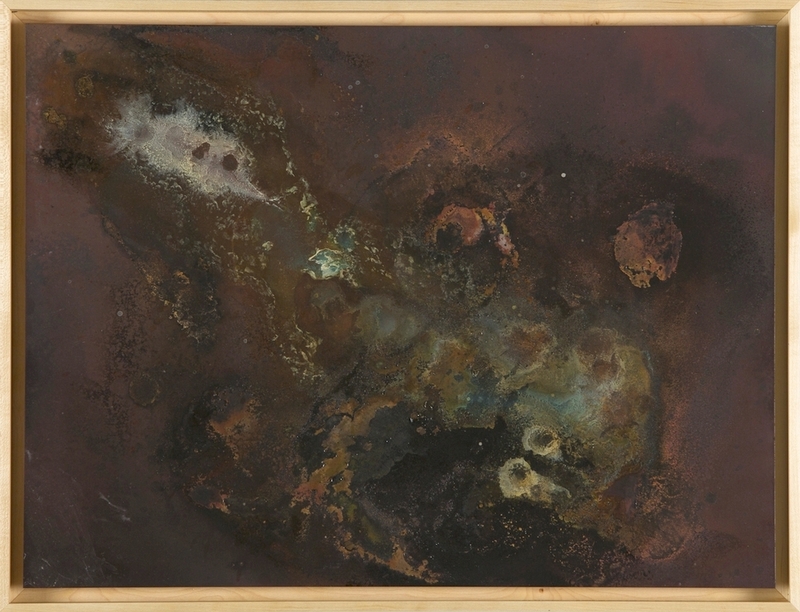 Ferric Chloride, Sebum Oil, Mineral Spirits, Acrylic Paint, Water, Oxygen, Combustion, Perspiration, Dander, and Found metal Objects on brass and copper.